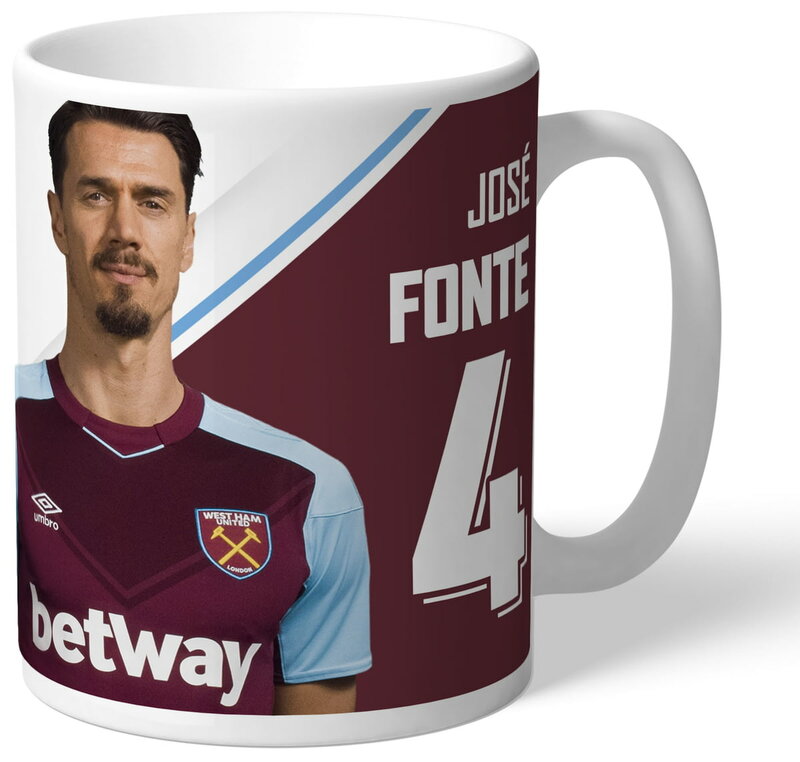 The design also includes the official West Ham United FC emblem and the mug is dishwasher and microwave safe. Message Best Wishes to you and your friends. All the bestHappy Birthday, I hope you have a great dayHappy Father's Day, I hope you have a great dayHeard you are playing well, keep it up. Best WishesMerry Christmas, have a fantastic day. 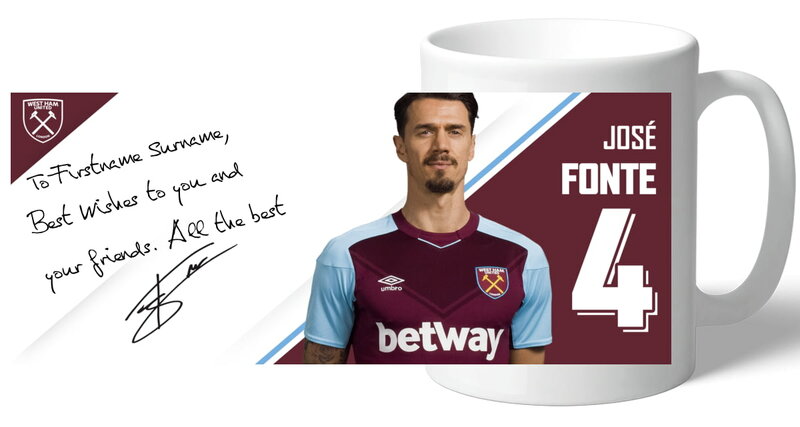 Best WishesThanks for visiting me at the London Stadium.